Published: April 23, 2015 at 04:32 p.m. Updated: April 23, 2015 at 08:54 p.m. The New York Jets continue to show faith in hot-and-cold pass rusher Quinton Coples. 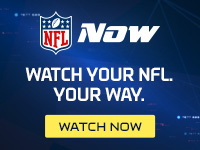 NFL Media's Albert Breer reported on Thursday that the team picked up the fifth-year option for 2016 on the outside linebacker they snagged with the 16th overall pick of the 2012 NFL Draft. The $7.8 million price tag is guaranteed only for injury, making this a safe alternative to a long-term deal for a player who has underachieved during his first three years in the league. Coples' 16.5 career sacks are far below what the Jets hoped for when they chose him over players such as Chandler Jones and Dont'a Hightower in the draft. "You see potential," new coach Todd Bowles said at the NFL Annual Meeting, per Manish Mehta of the New York Daily News. "He's a lot like (quarterback) Geno (Smith) ... You see him make plays and then you see him do other things at times. He can make strides this year and become a better player." Just 24, Coples must improve his work in pass coverage and learn to show up on film more consistently, but Bowles has displayed an ability to make the most of his pass rushers. If the former North Carolina star can turn up the heat this season, the Jets have made the right move.